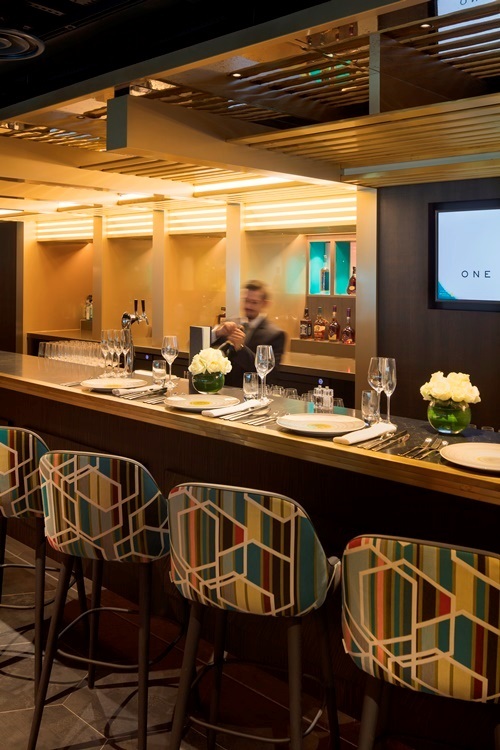 Last week saw the opening of a new exclusive member’s club within Club Wembley at England’s National Stadium and as you can imagine it is pretty swish. When a luxury club times its official opening with the FA Community Shield between Arsenal FC and Chelsea FC you know it’s a pretty big deal. 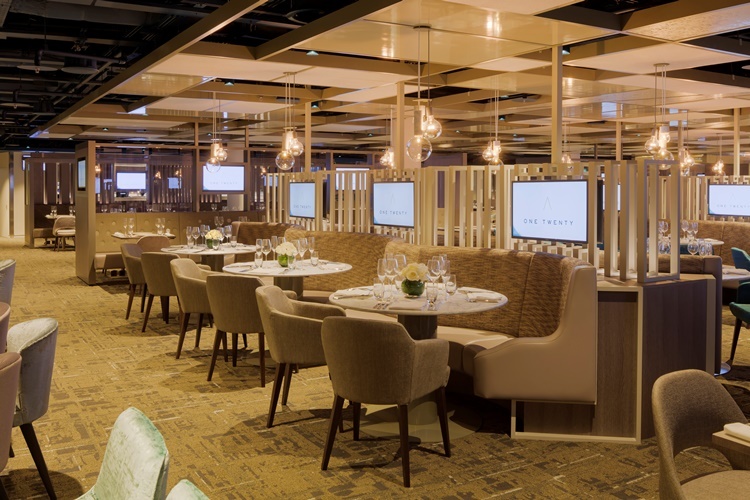 The bespoke club is called One Twenty and has been designed by KSS and refurbished by Portview Fit-Out to create a state of the art experience for a limited number of members to rub shoulders with some of the biggest names in football. However, the private club was designed with more than just the game in mind. Guests enter the club through an angular canopy that leads to an illuminated staircase ascending to the decadent lounge. Plush colourful chairs in mustard and turquoise create a playful and comfortable area for guests to relax in. 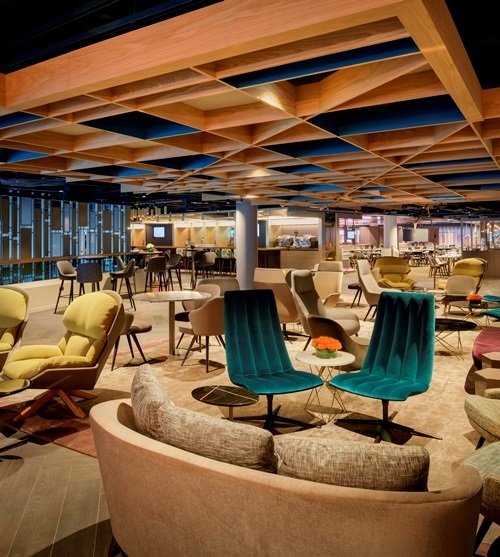 The lounge has been designed to allow visitors the opportunity to decide how they want to spend their time in the club. Swivel chairs create the option for guests to move from group to group or relax with friends in one place. 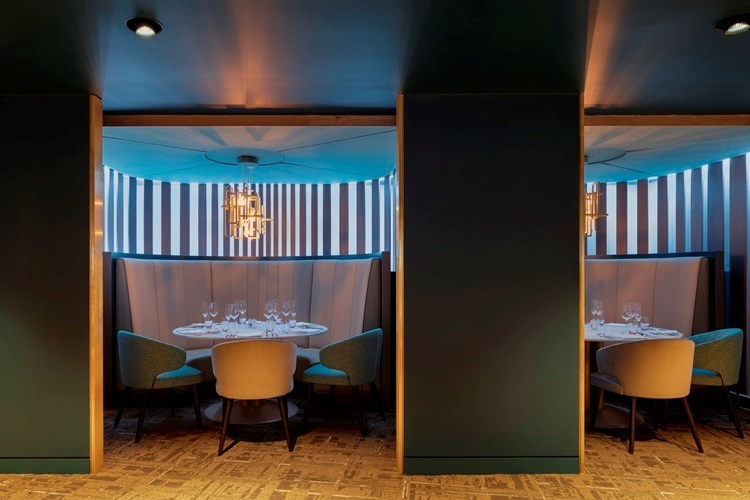 No self-respecting club would be complete without a bar, and Club Twenty is no exception. A huge brass chandelier hangs over barstools and tables making the area hard to miss. Guests could be forgiven for forgetting about the football altogether was it not for subtle nods to the game. 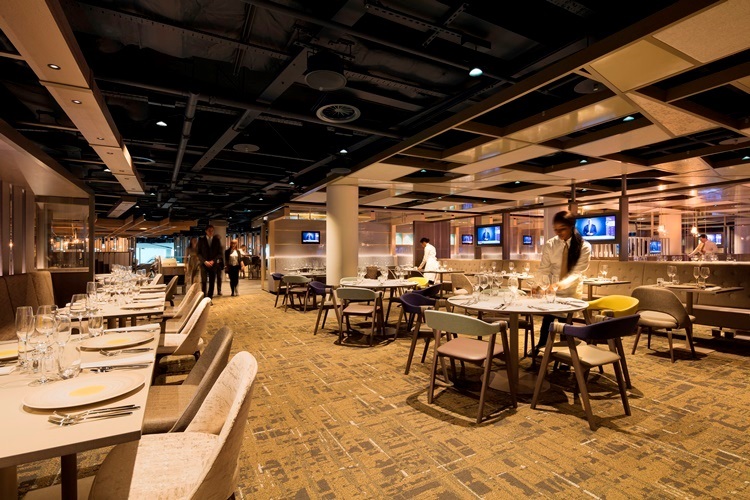 A latticed ceiling that runs the length of the restaurant mimics the energy seen on the pitch. 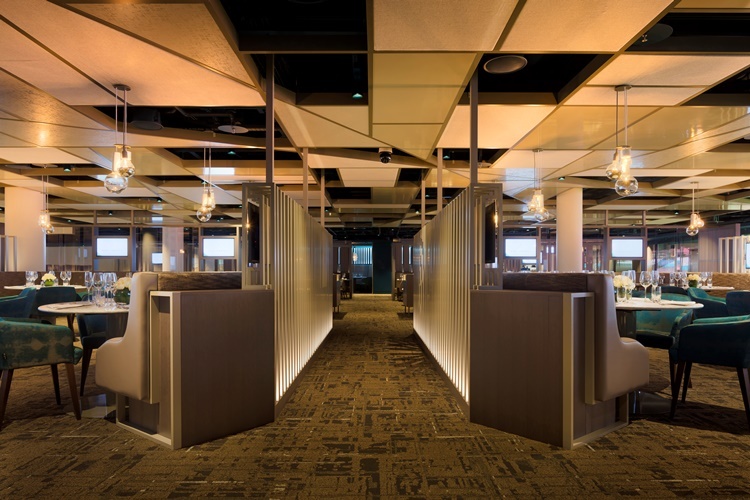 Strong lines race across the ceiling to create a sense of movement similar to players running for a ball. Along a deep panelled wall there lies a bookshelf for football fanatics to explore and reminisce as they browse through the famous Wembley archives. 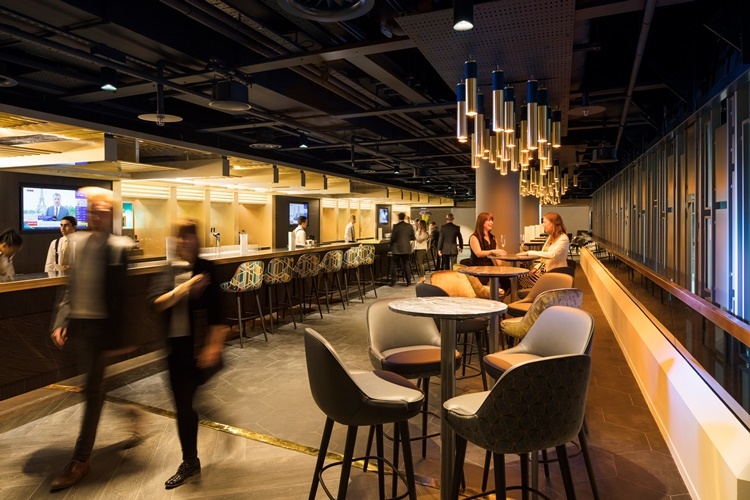 By creating a club that goes beyond football and functions as an enticing space in its own right, Club Twenty has pushed the realms of hospitality in sport. OneTwenty is currently open and ready for business, however, if you want to become a member of this prestigious club you will have to part with £10,800. So we better start saving now then.